If you think going back to school is intimidating, you’re not the only one. We talk to people like you every day–people trying to juggle school, work, family and finances. We don’t have ALL the answers, but we’re here to help. Boise State’s 40+ online degree and certificate programs help you make your educational dreams a reality–whether you need a bachelor’s degree, a graduate degree or a single, online class. 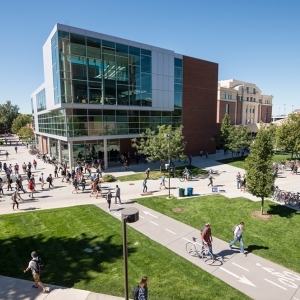 U.S. News and World Report has named Boise State University one of the most innovative national universities in the country. If you think going back to school is intimidating, you’re not the only one. We talk to people like you every day–people trying to juggle school, work, family and finances. We don’t have ALL the answers, but we’re here to help.